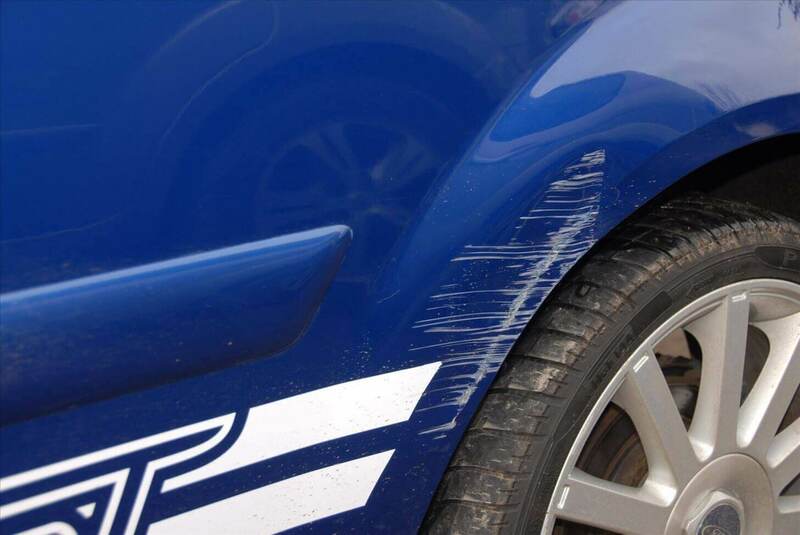 It’s no secret that scratch removal on a car or any kind of automotive vehicle can be costly. Even if you have just been slightly nicked in a parking lot or suffered a dent in your bumper through no fault of your own, car scratch removal will often necessitate a visit to a local car bodyshop. Once there, auto paint scratch removal can require sanding, retouching, and even occasionally full panel repainting. The good news, however, is that minor scratches can often be remedied simply via intensive buffing and polishing. At Auto Detailing Pro in Toronto, we help each of our customers save when it comes to car scratch removal, by assessing damage and seeking the most sympathetic paintwork restoration approach. Paintless car scratch repair works by using intensive buffing and polishing to remove deep, minor, and light scratches from car body panels. Of course, our buffing and polishing techniques go a little way beyond the application of products like turtle wax. In some cases, hand polishing and buffing will be enough to remove minor paint scratches. In other cases, however, our scratch removal service will require heavy buffing and careful wet sanding to remove deeper, more ingrained defects. When looking for a professional car scratch removal service in Toronto, many auto repair shops will offer to repaint panels. Sadly, it is almost always impossible to match actual vehicle paint colors with new paints, even when sourced from the same vehicle manufacturer. Worse, as well as being costly, a resprayed panel can later start to dull or brown, leading to noticeable color mismatches and significant loss in retail value. Thankfully, Auto Detailing Pro help Toronto car owners save by providing more affordable, localized repairs. In fact, even with deeper scratches which require the use of touch up paint, we can restore compromised bodywork to 90% of its former aesthetic appearance. External scratches and paintwork defects can significantly detract from the sleek good looks of even the most luxurious Toronto town car. At the same time, however, interior scuffs and scratches on door panels, plastic dashboard areas, and in plastic cargo areas, can also compromise a vehicles character. Thankfully, as well as exterior scratch remediation, we can also polish and buff out scratches from a wide variety of interior car panels and areas. At Auto Detailing Pro, our fully qualified vehicle valets and bodywork experts work quickly to buff out even deep scratches using the most state-of-the-art tools and polishing products. We can work on any Toronto vehicle and always strive to achieve at least a 90% perfect repair. This being the case, don’t settle for your cars looks being compromised by unsightly scratches. Instead, help us help you restore your Toronto car’s image as professionally and as expeditiously as possible.